Therapeutic exercises enhance strength, flexibility, balance and coordination to improve mobility. These exercises can facilitate return to function after injury as well as slow the progression of arthritis. 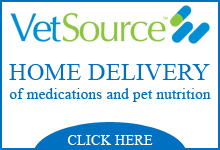 An exercise plan is thoughtfully designed to achieve a pet’s individual goals, and can utilize a variety of in-clinic gym equipment. Pet owners can be shown how to safely perform some of the exercises, using common household items, for continued care at home. Manual therapies include passive range of motion (PROM), therapeutic massage and stretching. These techniques can allow for greater joint mobility, increased circulation and pain relief. Just as important for recovery are the relaxation and emotional well-being that these therapies also provide. Thermotherapy involves the use of ice or heat to treat sites of inflammation. Cryo, or cold therapy, is applied to reduce acute pain and inflammation, typically in the immediate post-operative period or after strenuous exercise. Heat is used to increase blood flow to the targeted tissues and aid in muscle relaxation. It is often applied to assist in stretching. 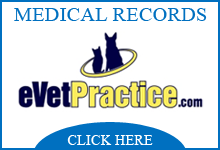 These treatments can be applied in clinic as well as at home with owner instruction. 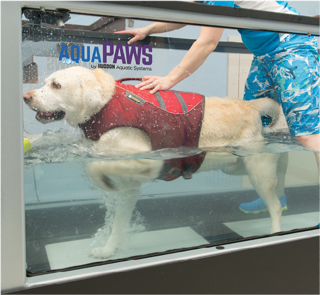 An underwater treadmill utilizes the buoyancy, warmth and resistance of water, in a controlled environment, to facilitate physical rehabilitation and conditioning. This low impact exercise is ideal for reducing recovery time from surgery, reducing pain during exercise for arthritic patients, and for improving cardiovascular fitness and body condition. Laser therapy utilizes light energy to stimulate tissue repair and reduce pain. Laser treatments are painless and can alleviate the muscle and joint discomfort associated with arthritis as well as aid in healing after injury. Neuromuscular Electrical Stimulation (NMES) produces controlled muscle contraction by sending electrical impulses to the nerves. It is used to reduce muscle atrophy during periods of disuse that may occur after surgery or injury. Once weight-bearing can begin, the patient can be transitioned to therapeutic exercises. Transcutaneous Electrical Nerve Stimulation (TENS) uses a lower level electrical current for pain relief and works by disrupting the body’s normal pain perception pathways. PEMF therapy uses pulsing electromagnetic fields to speed healing, reduce inflammation and provide pain relief. The Assisi Loop® is offered for convenient at home treatment.